The decision comes after Low experimented with his team and played Kimmich in the role last autumn, even though he plays right-back for the Bavarians in the Bundesliga. After their shocking exit in the 2018 World Cup finishing bottom of their group, Low was perhaps unexpectedly retained as manager of the side. However, the poor performance has resulted in changes being made to the German set up - changes which were confirmed in recent weeks by the ​national team manager. As Low attempts to reinvent his Germany squad, Kimmich's absence at right-back will mean an opportunity for other, more natural full-backs to start for Die Mannschaft. 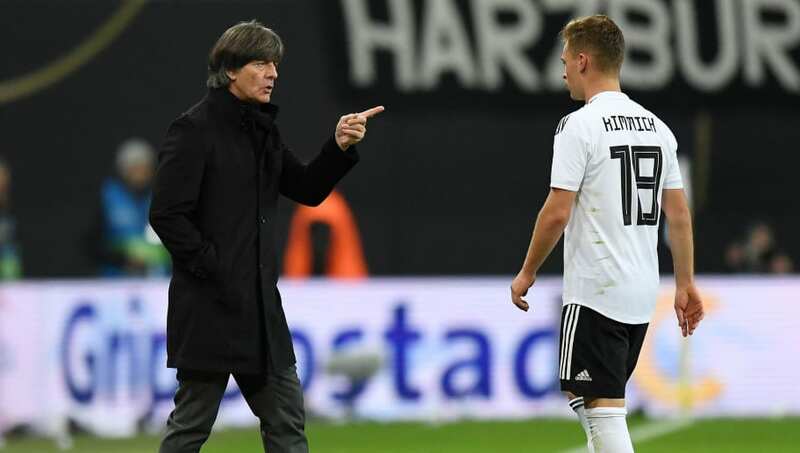 What is certainly evident for Germany is the way Joachim Low is giving them a fresh start after the World Cup disaster. The competition at right-back between young players signifies the way the experienced manager is changing the system. Other promising players who have been included in the squad include Bayer Leverkusen duo Kai Havertz and Julian Brandt.